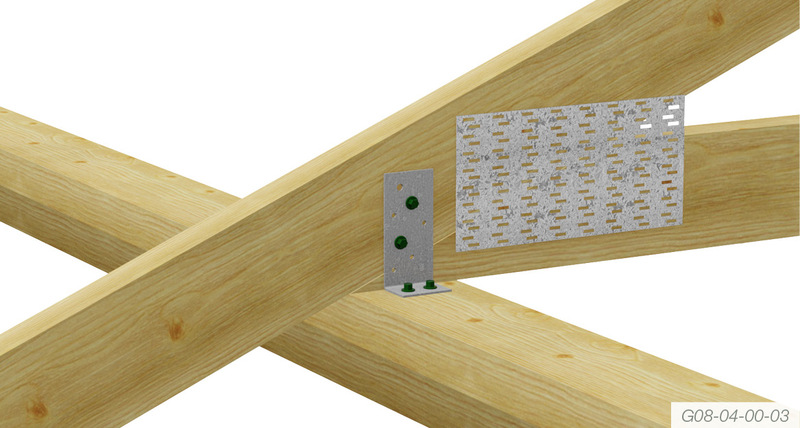 Tying down trusses with a partial concealed connection. 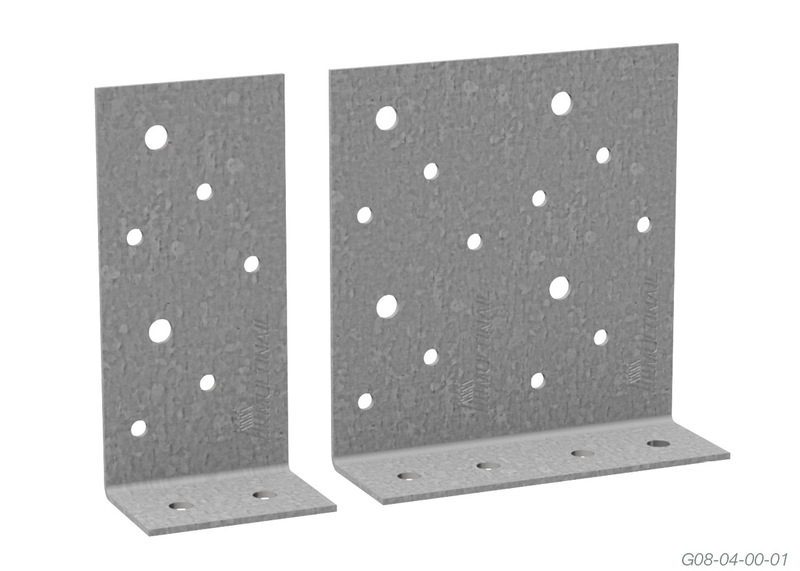 Suitable for connecting studs to wall plates. 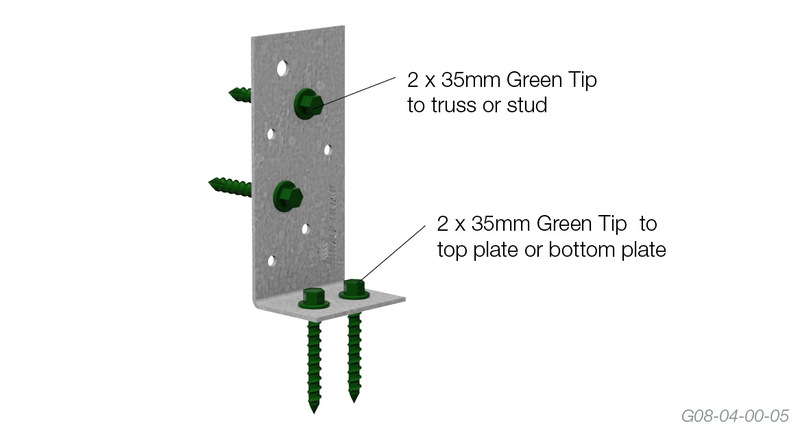 Note: For double top plates use 65mm screws. NOTES: The capacities are derived from AS1720-2010 and are for uplift in houses where failure is unlikely to affect an area greater than 25m2. For primary elements in structures other than houses or elements in a house for which failure would be greater than 25m2 these capacities must be multiplied by 0.94. 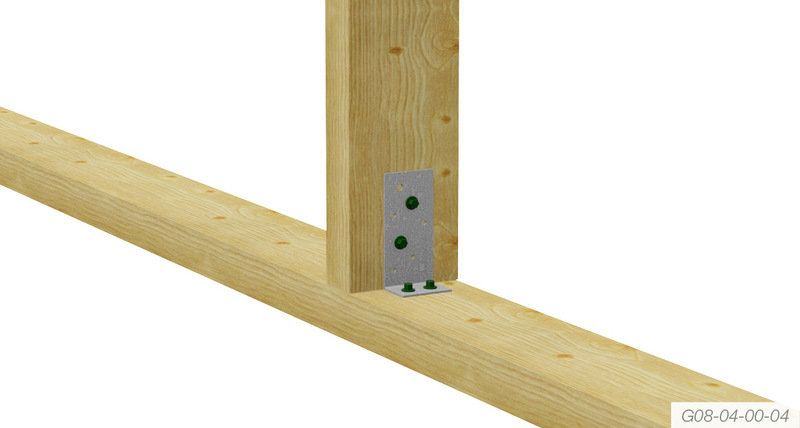 For primary joints in essential services or post disaster buildings multiply by 0.88. 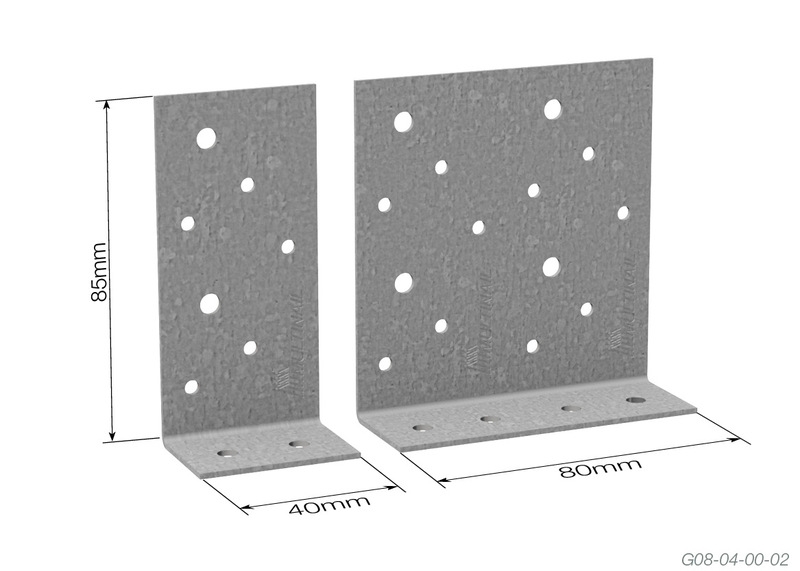 For 2/Purlin Cleats the above values can be doubled.